How do I make Thanksgiving, Mom? Ok Mademoiselle, nothing like the last minute! You have your Greenburg Turkey, so I’ve reposted the basics, so get busy! Ha! Guess Who’s coming to Thanksgiving Dinner? Q: I am invited to my boyfriend’s family’s house for Thanksgiving dinner. This will be the first time I have met them and I’m very nervous. Any do’s and don’ts? 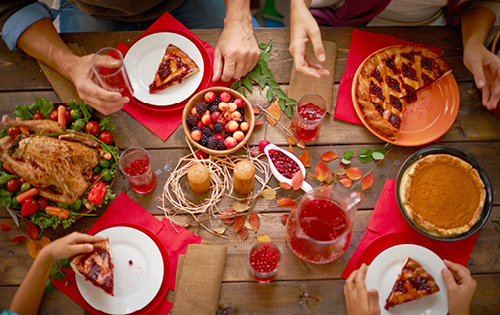 Do ask the hostess (via boyfriend) if there is anything you can contribute to the meal. Do bring a gift (in addition to your meal contribution). Do dress conservatively – no minis, no cleavage. Do be on your best behavior. Do offer to help with cooking, clean up, kid watching or other chores. Don’t curse or bring up controversial subjects. Don’t drink alcohol if you are under 21. Don’t be mean to little children present – they will tell everyone. Don’t forget to thank your host and hostess when you leave and send them a follow-up thank you note. Don’t share a room with your BF, if you are staying overnight. Follow these rules for a lifetime of complements and the constant reminder from his family that you were the best girl he ever brought home! I agree with Mimi’s top ten. Follow these to success and a repeat invitation will be sure to follow. Is there anything more gratifying than your BF’s parents thinking you are awesome and raised well? I think not. So, I’ll follow-up by giving you my top things to do and bring to wow the folks! Even if your hostess says no, bring a food item. Make something special you cherish at the holidays to share with your new friends. It can be as simple as picking up cheese and crackers or making cookies, but it shows you made an effort. If you are traveling on a plane, you can ship something, like a fabulous cake from Elegant Cakery or a Breakfast Kringle from our friends at O&H Bakery. If you need help, Mimi’s pecan pie or Mademoiselle’s cherry pie are always a winner. Bringing an extra gift like holiday napkins, a breakfast basket for the next morning, a holiday candle or even toys and games for the kids that will be present, always makes a great statement without a lot of investment. Dress conservatively and appropriately for all planned occasions, be tidy and offer to help…with anything! This is the time when you will be judged, so put your manners in your purse or pocket and make a great first impression! Mademoiselle’s pick: Julia Reed’s, The High & Low: How to be a Southern Gentleman, is a witty take on being a gentleman, summing it up as, “If you want the girl, study. When you utter some lines, mean them. Travel with a winch and a chain. Go after maimed dogs. Take the woman you are in front of very, very seriously”. Q: I did not get hired for a job because during the interview I looked down at my phone when a text vibrated, lit up the screen and I looked down to read it. It took less than a second to look, but it apparently cost me the job. Are employers in the stone age about tech use or did I violate a modern manners rule? I’m sorry you lost the job, but in almost every circumstance, texting, emailing and tweeting show disrespect to those in your presence, as you generally owe them your undivided attention. This is particularly true in all professional situations: interviews, business meetings or conferences. Although Emily Post and Amy Vanderbilt could never imagine how flexible and fluid etiquette has become to keep pace and evolve with technology and our culture. It is never appropriate to even have your phone visible during an interview. I am absolutely addicted to my phone but my darling, turn off your phone and shove it in your bag for an interview. So many times what we think is harmless can come across as immature and uncaring to an interviewer, especially those older than us. The Millennials and Baby Boomers have different expectations of acceptable behavior at work and in the office, but a general rule of thumb is NO PHONES! I have a “becauseisayso” for you this Thanksgiving. Please give thanks to the obvious in your life-family, friends, health and happiness. But, also take a minute to reflect and remind yourself how lucky you are to be an American. In such a time of social upheaval, we need to remind ourselves of this good fortune, hard fought by our ancestors and protected by our form of government. Many seem to have forgotten the concept of Democracy and what it really means – lest we forget the many protections afforded all Americans in the Constitution. America will always be a “melting pot” of people and ideas, a place safe to challenge all ideas and perspectives. Will there be challenges and setbacks? You bet. Victories? Yes. But I ask you, as an American, is there a “winning or losing” side? There shouldn’t be. I’ve lived through many many leaders, my advice: Let’s all agree that we can disagree on a lot of issues, but not that we are not all proud of our American heritage and our future. Q: I’m going through sorority recruitment and we’ve been told to dress “casual” on philanthropy day, “snappy casual” on house tour day and “cocktail” dress on preference day. I’m going crazy trying to decide on outfits and I’m puzzled about whether it really matters what I’m wearing. Can you give me an idea of what these fashion terms really mean and what to expect? 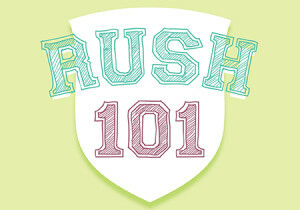 Rush Rangers you made it through the Open Houses! Congratulations! You are 1/3 of the way through the process. Now it’s party on and on, with the important questions of what to wear each day to make a memorable impression. Mimi and Mademoiselle believe that what you wear is just as crucial as acquiring your recommendations. It’s not called “rush” for nothing, you have just enough time to bond with another girl and then you are rushed to the next house. So, a little planning and effort with your outfits can give you an edge. You must strive to look your best. The goal is to make a memorable impression on your potential sisters. If you followed the advice from our prior Rush 101 posts, you will plan these outfits out ahead of time. It’s a less is more approach with bright colors, simple patterns, classic accessories, stylish shoe choices, neutral make-up and a perfect manicure. Greek life prioritizes community service and each sorority will showcase their local and/or national philanthropy or community service works both on campus and in the community. For this day, dress is generally termed “casual”, but the term “snappy casual” does come up in a variety of questions. This is a good time to think about what philanthropies interest you and what philanthropic activities you participated in. The discussions will center around community service and be a bit longer than your open house days. You will be introduced to more members of the sorority. My suggestion for round two is to wear a casual top and skirt, simple dress (not too patterned) and flats or low sandals. Your attire and accessories should be slightly nicer than the last round. 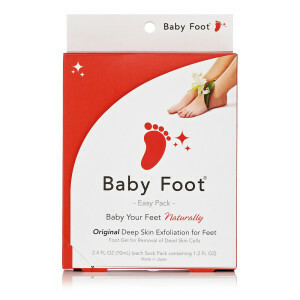 You’ll still be doing a lot of walking, so keep in mind those comfortable shoes! This should be a Rush Ranger’s favorite day. The day you tour all the houses and see how the girls live. These parties are interesting, informative and allow you much more time for conversation. It’s a time for the sorority to show its individuality as well as you being able to get to know your hosts a bit better. This day is also casual, but snappy casual really means smart casual, not too dressy and generally means a dress with limited accessories with an emphasis on casual dresses, nicer shoes or heels and your accessories. I would definitely wear a dress this round, or a nice skirt and top. Dressy sandals or casual wedges are perfect for this round. This is generally only a day for two parties. This day is where you must focus on what you want out of a sorority. At this point, the sorority is interested in having you become a member. This is your dressiest day. We all know what we would wear to a wedding, so think wedding guest attire. This is the day you pay close attention, not only to the members of the house you are visiting but also the other rushees at the parties with you. These will be the girls in your pledge class. Keep it simple and classy. Mimi’s advice is if you’d wear it out to a bar, don’t wear it to rush. Mademoiselle’s advice is don’t dress too skimpy and don’t wear over a 3 1/2 to 4″ heel on preference day. Q: In this election year everyone is posting and talking about politics. I am surprised at the number of people who flaunt and argue their positions on social media and at social gatherings. It makes me uncomfortable and I thought it was taboo to talk about politics. Have the rules on discussing politics changed? The rules have not changed, but social convention has. There are a myriad of articles that discuss how social etiquette adapts to changing norms of society. Although it does appear that “society” finds it permissible to openly discuss and even flaunt our political affiliations, Mimi thinks this is one deserving of the a hit to the “pause” button, literally and figuratively. The rules on discussing politics are firm. There remains no etiquette book or consultant that says “discuss politics as you would the weather or in polite social context”. Leave it to the sanctity of the voting booth! Unless you are at a political event or being interviewed for a political site or article, DO NOT discuss politics at the dinner table, social events or work! Not at holidays, weddings or when meeting anyone for the first time. NO. NO. NO. NEVER. Mademoiselle agrees with Mimi, but tends to understand that the younger set is a little more liberal. So, although I too, am in the NO category, if you do decide to engage in political conversation, I would offer that if someone else brings it up, be polite, stick to the facts of general knowledge politics (candidate stance or headlines) and quickly change the subject. If you are asked your opinion, state it and move on, agree to disagree. If others get heated and want you to join in, use Mimi’s magic one word response – “Indeed”. I read somewhere that the best political conversation is one where the participants can ask each other questions to learn more. So, if you are with what you consider “like-minded” friends, by all means discuss and learn. But, recognize the “mine-field” you are entering and if you feel like there is a path, take it, but do so at your own risk. Mademoiselle swears these are the best way to reset your system after serial indulgence or to set yourself on a new path. There are several cleanse options: the Renovation (for beginners), the Foundation (“Middle of the Road” ) and Excavation (“Digging Deep”) and the new Invigoration (baby steps) or Inspiration. Mademoiselle does the Foundation and finds it satisfying and easy to stick with. Mimi likes the taste of them all, and replaces breakfast or lunch with them when she is on the go. They have a sampler so you can test out the flavors and pick the ones you like the best! They are easy to order, shipped professionally and you can even order a nifty cooler bag for on the go. 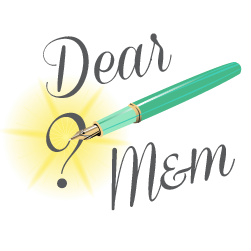 Mimi has always had her doubts about detoxing, but one of our favorite sites, Goop, delivered a convincing article on the detox subject. We think you should check it out. 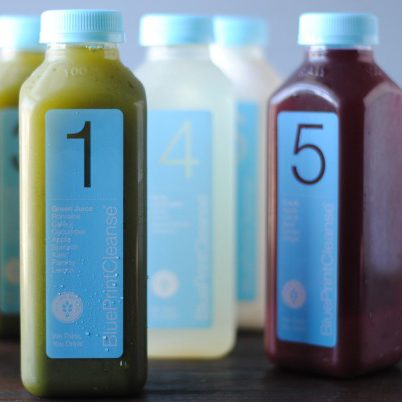 In addition, to a regular detox, keep yourself fit and maybe even a bit thinner – try the Super Elixir. 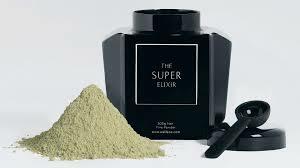 The Super Elixir, marketed as “a highly specialized alkalizing greens supplement with vitamins, minerals and trace elements to assist wellness and vitality,” was developed by 80’s model, “the body” Elle MacPherson, a leading nutritional expert (who seems at 52, to be reverse aging). 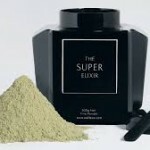 The website and published information list the ingredients and explains why the Super Elixir is so good. Mimi and Mademoiselle are here to tell you if you can get used to drinking “greens”, or rather your vitamins, you will feel and look better. We both use it daily, but be forewarned, despite its representations of “great taste”, it is definitely an acquired taste that requires some getting used to. Or rather, tolerating it because of its quick, noticeable benefits. We tried all of the ingestion recommendations: water, coconut water, almond milk, juice, fruit smoothies, oatmeal, etc. Mimi prefers to take it “as a shot” with 4 oz. of water to get it over with as fast as possible. Mademoiselle uses the Super Elixir “hydrator bottle” with filtered water for “shake and go on the run”. We tried some other “green powders” and this was by far the best tasting of the bunch, but sorry, Elle, but neither of these options makes it taste any better than what we describe as grassy with a hint of bubble gum, but…stick with this…the results are amazing! We both look better, sleep better, feel better and have fewer aches, pains and maladies. Mimi, as she is old, swears it lessened the number and severity of her headaches, evened out her hormones and improved her complexion. Mademoiselle says among other benefits, it is her secret hangover cure. 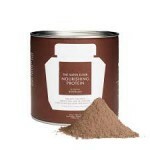 Their new Nourishing Protein powder is also amazing and delicious! Feel and look better in a swimsuit this summer and all year long!